IT’S CHRIIIIIIISTMAAAAAS! ..well…almost. 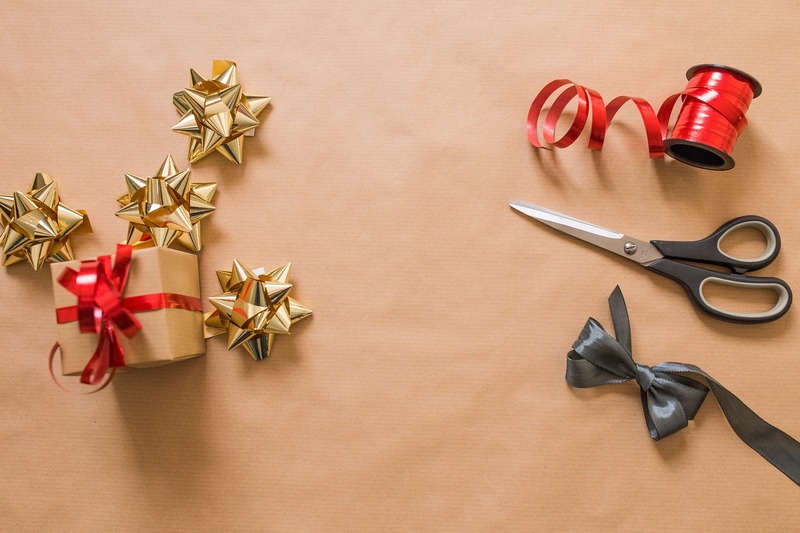 And to celebrate, we’ve put together some ideas for fun and festive things to do this holiday season. 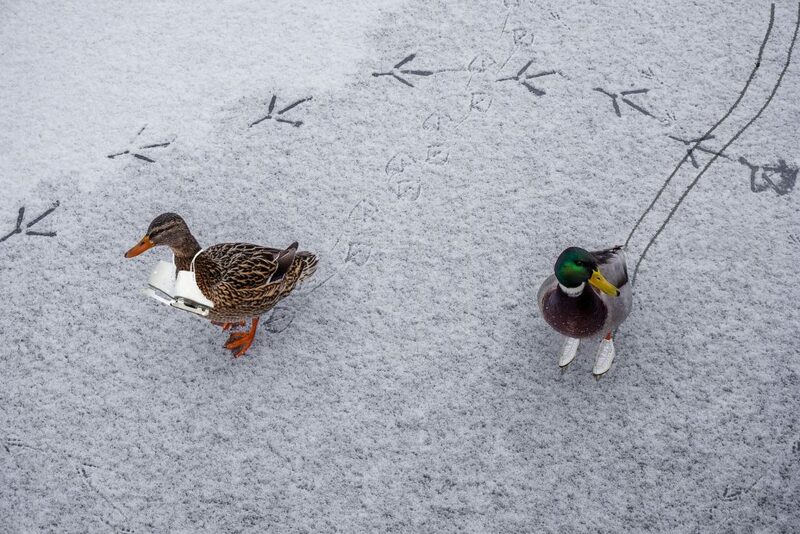 So round up your loved one(s), stick ‘Doolin, County Clare’ into the sat nav and experience a magical winter break in County Clare. Looking for accommodation? Check out Doolin’s selection of accommodation here or grab a great deal here. Santa Clause is coming to town! You can meet Santa and his elves at various locations within 1 hour of Doolin, throughout November and December (depending on their busy schedule of course). 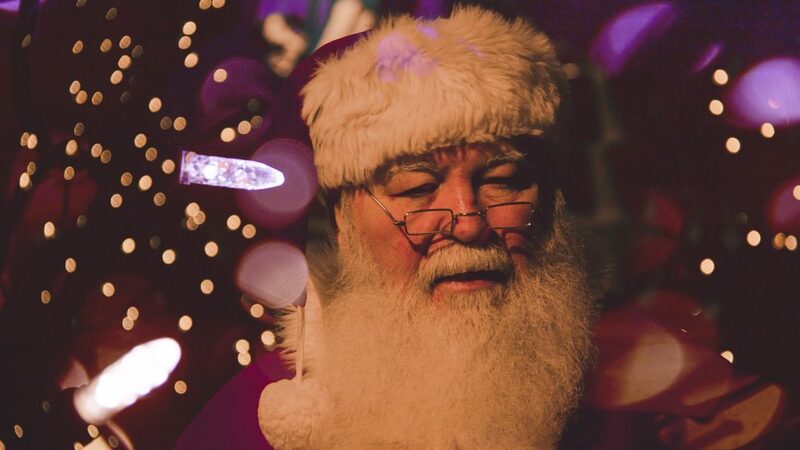 Visit Santa’s Grotto at the Burren Christmas Family Fayre, Moher Hill Farm, Aillwee Cave, Burren Nature Sanctuary, and Bunratty Castle & Folk Park. 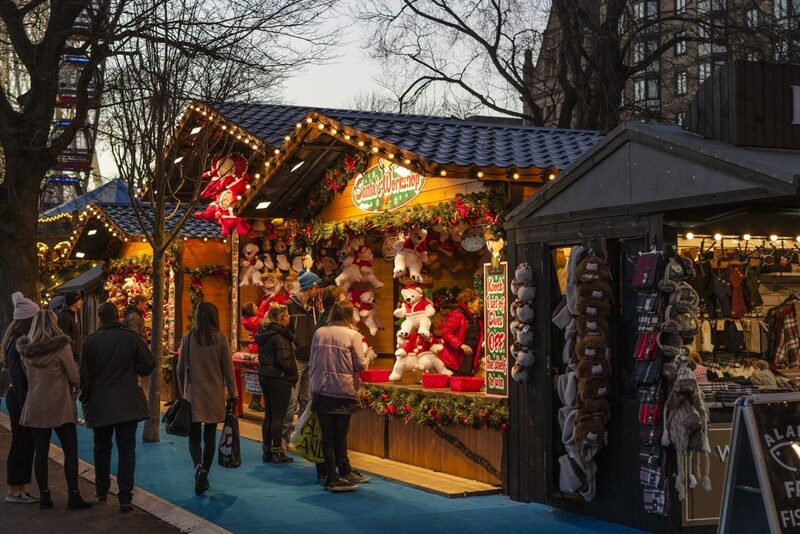 Nothing gets you in the festive spirit more than attending a Local Christmas Market or Festival – the scent of baked goods, hot food, mulled mine, local crafts and products on offer, experiencing that ‘Christmassy atmosphere’ and more! 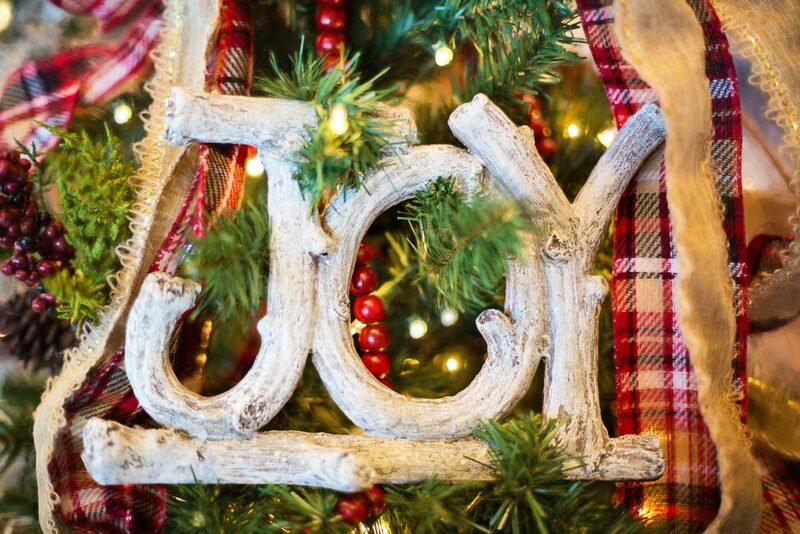 Local Christmas Festivals/Markets this year include: Burren Food Fayre in Lisdoonvarna – 8th & 9th December, Moher Hill Farm – Santa’s Christmas Village – 8th to 23rd December, and Christmas at Bunratty Castle & Folk Park – 24th November to 23rd December. 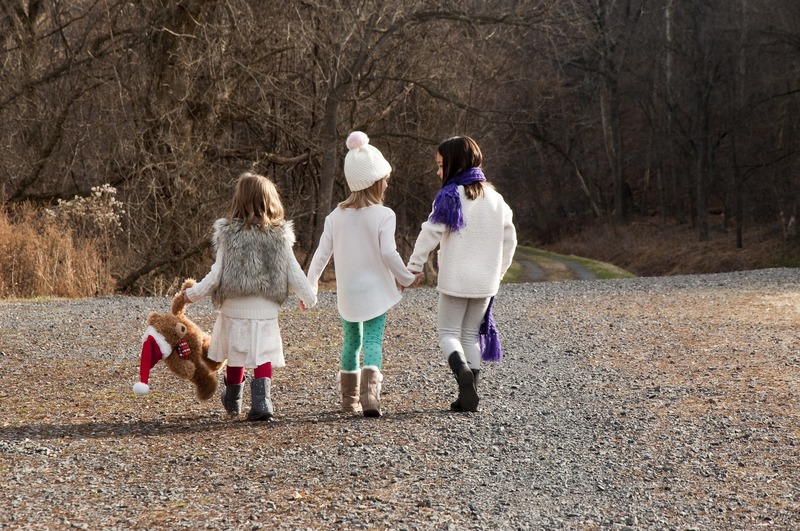 Some of the best Christmas gifts are homemade – packed full of thoughtfulness, love, and joy for that someone special. Don’t know what to make or need a helping hand? Check out these upcoming workshops at Irish Crafts in Doolin where you can design and sculpt your own unique ring out of jewellers wax or create a decorative lampshade, with expert guidance. 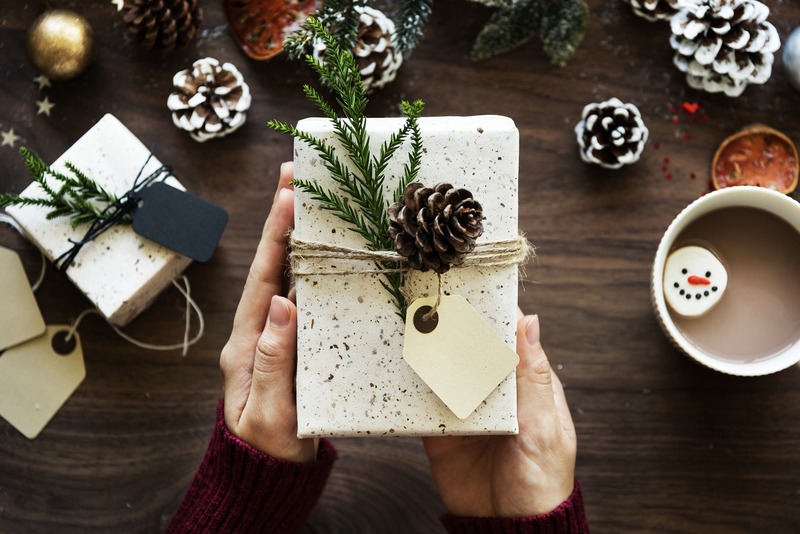 It’s that time of year again when we’re doing up our Christmas list of all the gifts we’d like to give to our loved ones, friends and colleagues, as a token of gratitude and festive spirit. If you like to get your Christmas shopping done and dusted, before the December mayhem, check out these fantastic Christmas Shopping Nights at Irish Crafts this November – discover exquisite and enchanting gifts, with up to 25% off stock in store, and lots of festive treats and freebies on both evenings. 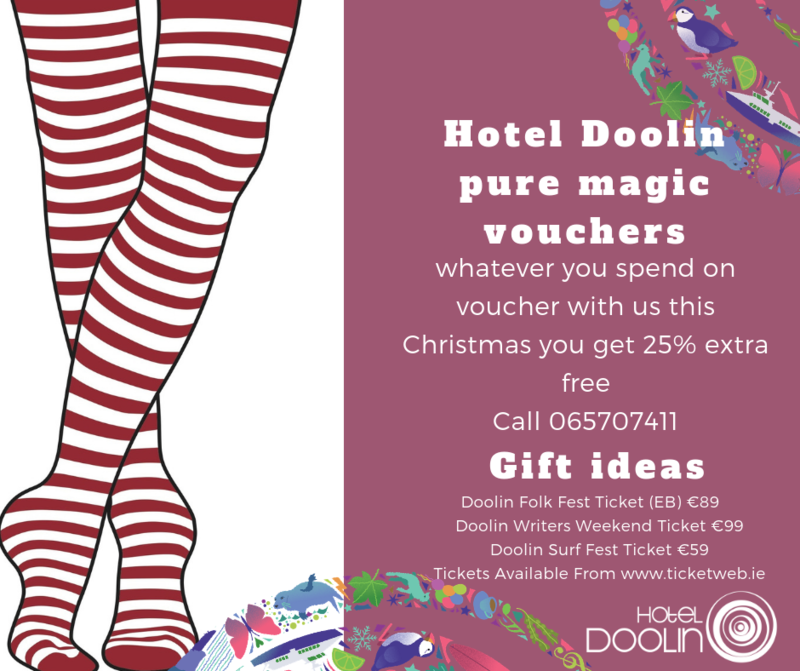 Hotel Doolin has also got some great gift ideas this Christmas, and are offering an extra 25% free on all gift voucher sales this Christmas! Wrap up warm and take a trip to the ice skating rink this Christmas at Bunratty Castle & Folk Park which is just under an hour’s drive from Doolin village – one of the most fun-filled and festive things to do at Christmas! 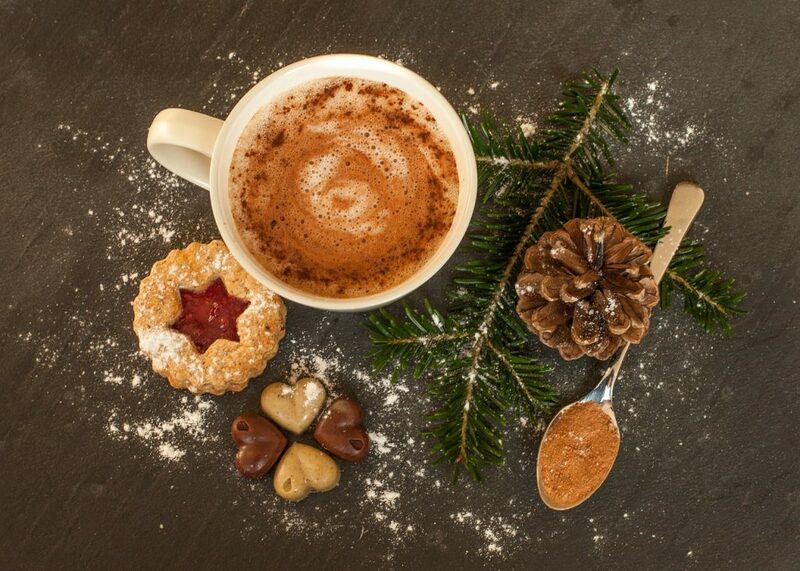 If there’s one thing that makes Christmas complete, it’s indulging in hot chocolate and festive treats by the fire. The many restaurants, cafés, and pubs in and around Doolin are stocked full of freshly baked goods, cocoa and fresh turf for the fire, at this time of year. It’s beginning to feel a lot like Christmas.. there’s a winter snap in the air and we love it! Take a sunset walk around Doolin Village and the pier this winter – it’s bound to get the festive spirit pumping and will help to burn off all those tempting mince pies! 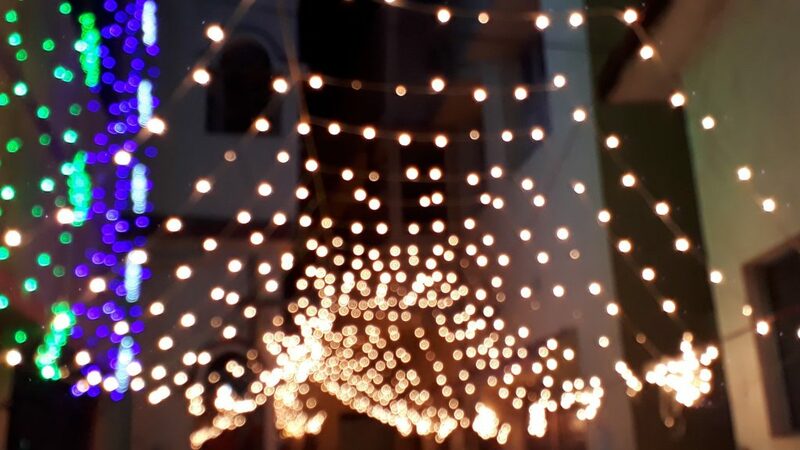 For many years, Doolin has held an evening ceremony to mark the lighting of Christmas lights and to kickstart Christmas in the village. Hotel Doolin was the venue for last year’s ceremony. Carol Singers, Mulled Wine and Mince Pies galore – a lovely evening with the local community and visitors to Doolin. Hotel Doolin is hosting The Big Quiz & Raffle Night in aid of the Alzheimer Society of Ireland, on the 22nd November at 8pm. McGann’s Pub are having a ‘Beard Away Night’ in aid of Stella Maris Day Centre, on the 24th November at 9.30pm – some of the local lads will be shaving off their beards on the night in exchange for sponsorship and donations for this great cause! Come along to Doolin and join the fun while raising money for some great causes!